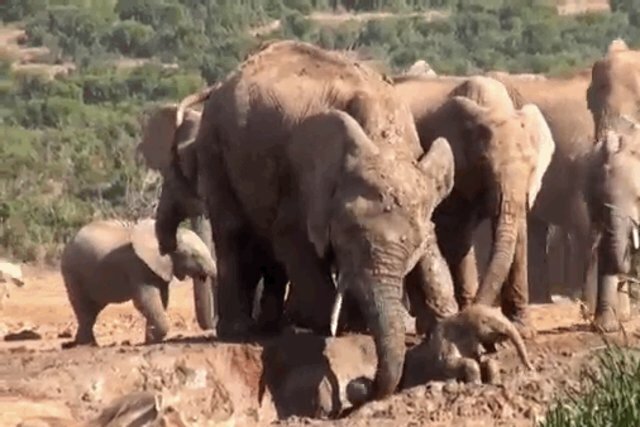 When a baby elephant slid panicking into a mud pit in the Addo Elephant National Park in South Africa, the herd gathered to come to her rescue, stomping around the pit and trumpeting. But it was mom who finally fished her out, pulling the bewildered baby to safety. Read more about the rescue here.